High ambitions alone are not enough to save the impenetrable and messy final product. Mr. Nobody is proof that just having all the right ingredients does not automatically make it a great dish. This film contains an intriguing plot, spectacular visuals, solid acting performances, more ambition than you can shake a stick at, and yet the results are not half as good as it sounds. Or at least not nearly as good as it sounds. 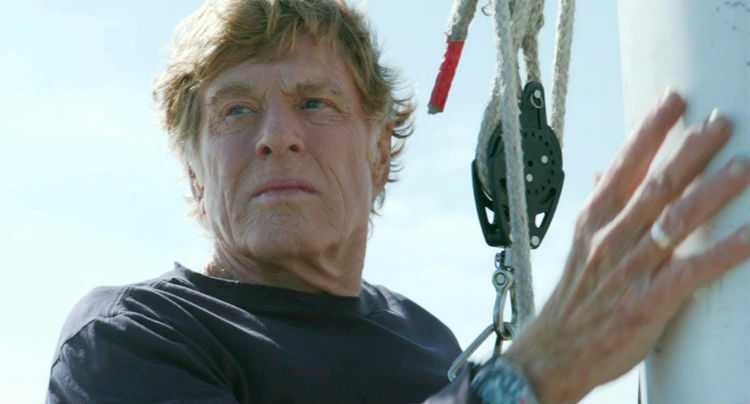 In any case, one cannot help but wonder if not living up to the film’s potential is the very reason why it took so long (four years from its Venice Film Festival premiere) to get a proper U.S. distribution. At the heart of the story is the unimaginable decision that a young boy must make between which parent to live with after they divorce. From there Mr. Nobody spirals off (out of control) into several parallel timelines that form based upon which decision he could have made. The film experiments with concepts of the butterfly effect by exploring the possible outcomes in a nonlinear fashion. In fact, it begins by showing the protagonist named Nemo (Jared Leto) dying in different ways before jumping all the way back to an elderly (117-years-old to be exact) version of him, who is considered to be the last man who will die of old age because everyone else on earth has benefited from stem cell treatments. It is easy to get lost when the film jumps around between all of the different scenarios and timelines that the character is involved with. Nothing short of multiple viewings or detailed infographic of the film’s structure will help. But most of the major themes the film wanted to get across were made clear—most notably Nemo’s various love interests (Sarah Polley, Diane Kruger, Linh Dan Pham, and Juno Temple) in different stages of his life. The problem is aside from Polley, the emotional attachment to any of the characters is not actually felt. Throughout the film I kept trying to figure out if I am supposed to take the film completely seriously or not at all. Perhaps the correct answer is somewhere in the middle. One just does not expect to see unicorns and other playful things intertwined with such a serious coming-of-age narrative and thought-provoking framework. This amalgamation of genres is admittedly fun and even adds some character to the film, but at times it makes the already confusing film even more baffling. You will likely be reminded of several films while watching Mr. Nobody, the very first that comes to mind is Cloud Atlas—both were released around the same time and contain interlinking storylines spanning across several decades of time, including the distant future. Moments when the character thinks they are with one partner but then quickly revealed to be with another will remind you of Vanilla Sky. There are multiple Fight Club-esque moments aside from simply sharing Jared Leto and the Pixies song “Where is My Mind”. You could even draw some comparisons to Eternal Sunshine of the Spotless Mind with its visually bizarre self-aware dream sequences. The list of influences could go on and on. 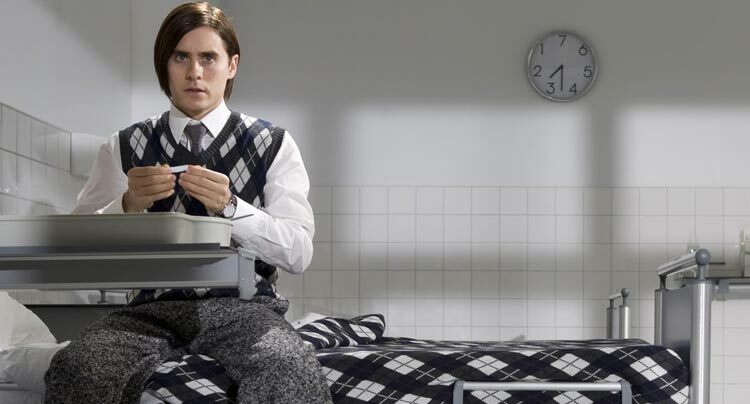 While Mr. Nobody is reminiscent of all those films, it is unfortunately not as effective as any one of them. Jaco Van Dormael’s film is stunning to look at and if nothing else makes the film a decent visual experience for the viewer. The CGI is handled well in film’s depiction of our futuristic world in 2092, mostly consisting of sterile white environments. By far the most impressive visual achievement was the makeup transformation that Leto had to undergo while playing the 117-year-old version of himself. It was scary just how realistic it looked. Mr. Nobody ends up being one exhausting ride with constant leaps back and forth between multiple timelines, never slowing down enough to allow the audience to become attached to any of the characters on screen. Not helping matters is the fact that the film goes on for nearly two and a half hours. You certainly cannot fault Mr. Nobody‘s efforts to be an ambitious film, and it is easy to admire it just for that reason, but those efforts alone are not enough to save the impenetrable and messy final product.